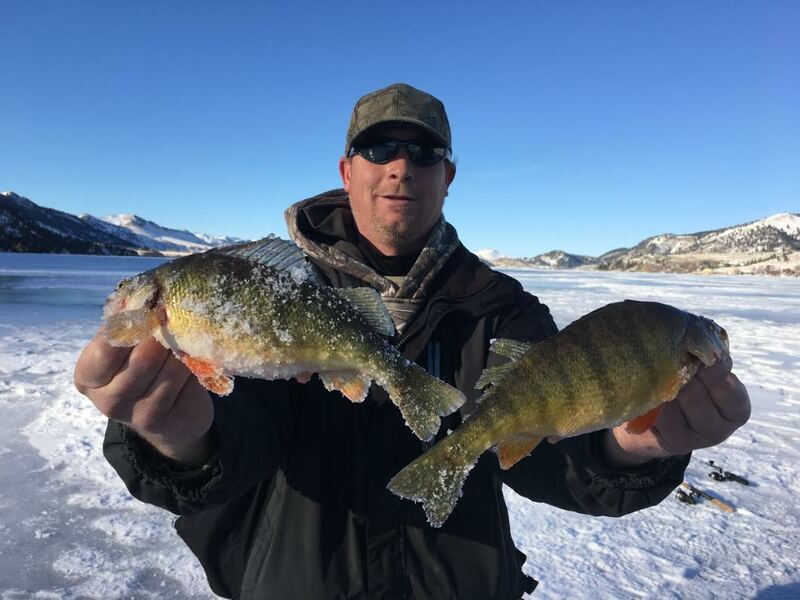 Trevor Johnson Found the Perch at Holter! We received a message from Trevor Johnson of Kit’s Tackle. 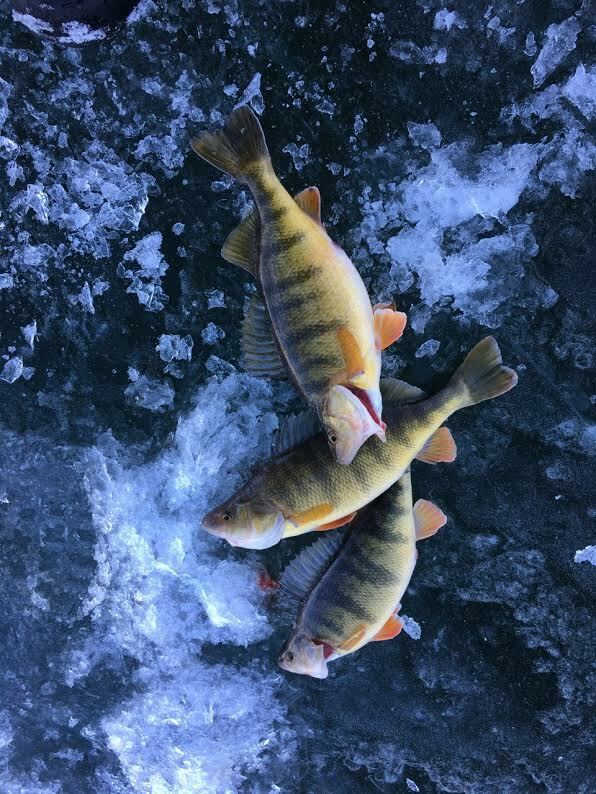 It looks like they pulled quite a few perch through the ice! 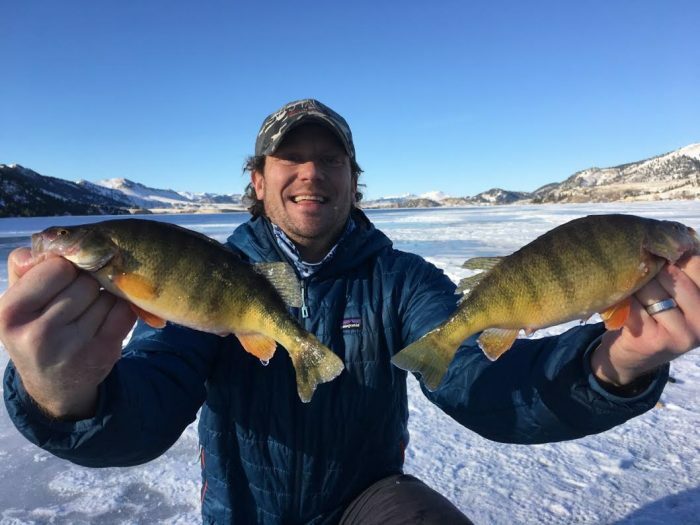 Holter Lake perch from a few days ago. We walked across the lake from Log Gulch to avoid the crowds on the ice. We found a nice spot all to ourselves and caught over 200 perch and 16 big rainbow trout from 9am to 4pm. 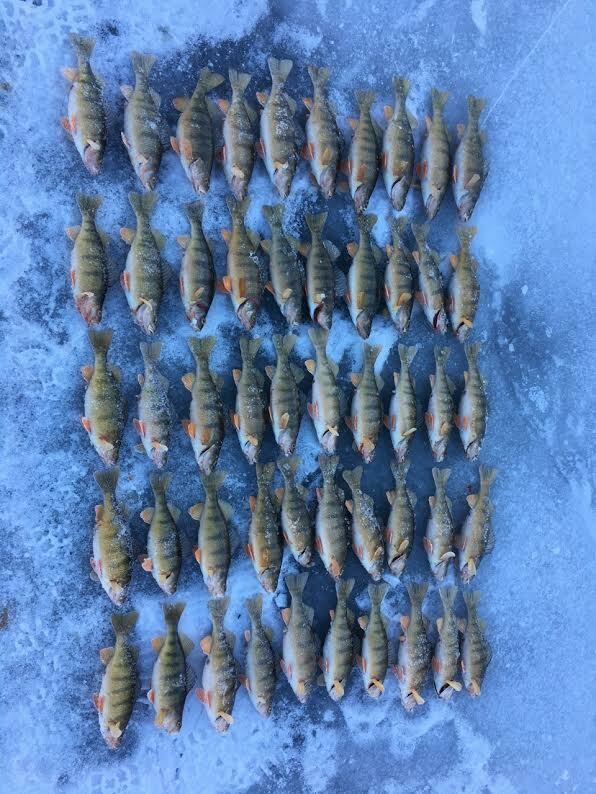 We kept 50 perch between 10-12” for our once a winter feast!! We were fishing the perch in 20-25ft(on the bottom) so we were able to release them unharmed. We were using the Kit’s Tackle Micro Glass Minnows in Yellow Perch color tipped with maggots! For the trout were also using the micro glass minnows about 6-8 feet below the ice tipped with 4 or 5 maggots. Just set dead rods, we were not jigging them at all.